Transgender in a Gay Museum? Unboxed will display these materials in order to interrogate the SMU’s archival practices up to this day. How did these objects arrive here? Who decided that they would be preserved? How does the Museum deal with gaps and invisibilities? Can a museum tell a story without having objects to show? 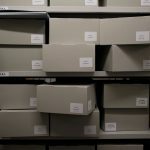 Can archives – places where meaning seems fixed and people come to seek out ‘truths’ – be challenged to accommodate new voices and perspectives? 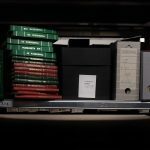 Is it possible to think outside the box of an archive? The exhibition offers several impulses for visitors (online and in the museum) to engage with the objects and offer their own interpretations. As the materials in the archive have already been interpreted and categorized using a cis gaze, and as this project has been conceived and developed by cis scholars in an historically trans-exclusionary institution, we hope to create space in this exhibition for trans* communities to talk back to existing structures and intervene in the current archival practices of the museum. These feedbacks and dialogues will be included in the ongoing (re)cataloguing of the SMU’s transgender collections. Dr. Sebastian Felten works as a lecturer in history at the University of Vienna. For the past 12 months, he has been cataloguing trans materials as a volunteer at the Schwules Museum. Dr. Rebecca Kahn is a researcher in Digital Humanities at the Alexander von Humboldt Institute for Internet and Society in Berlin.